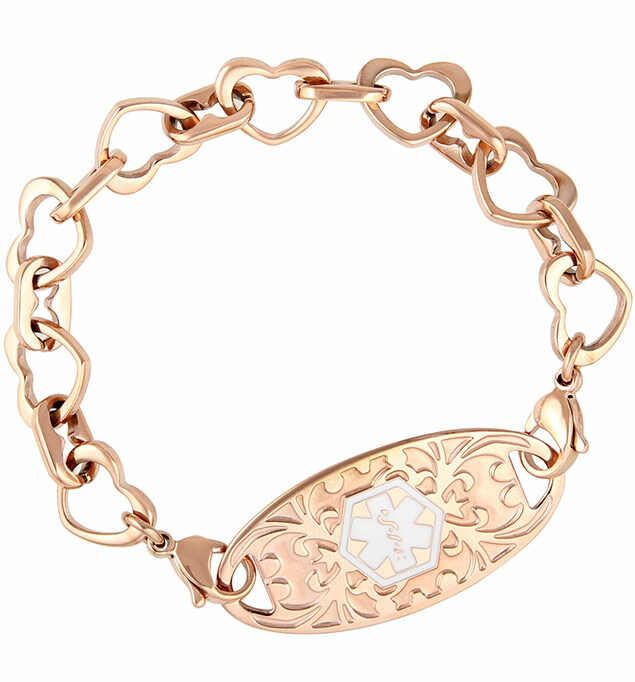 The Rose Tone Love Always is a stainless steel medical alert bracelet with rose gold tone plating that matches our rose tone medical ID tag for a cohesive look you're sure to love. This interchangeable, waterproof medical alert bracelet is composed of durable, pretty open heart links, making it a gorgeous medical ID bracelet for women and girls. The Love Always medical alert bracelet is also available in a stainless steel finish.